Ven Pongal is a famous south Indian(Tamil) Recipe in which Rice and moong dal are cooked till soft and seasoned with spices. 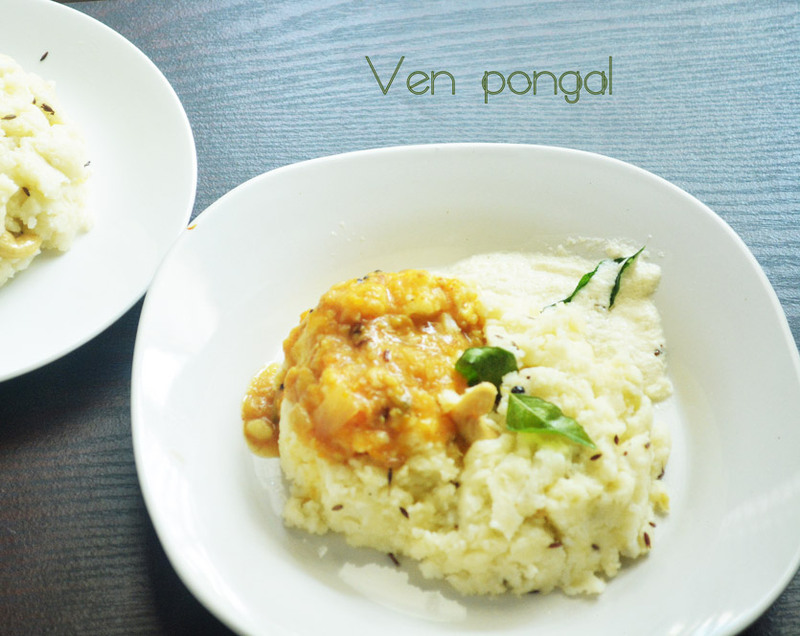 Ven Pongal is a scheduled breakfast for us in hostel..There I started liking ven pongal. They serve it with vada, chutney and sambar and the pongal were anointed in ghee/oil. It will be that much smooth because of oil/ghee. In our home we don't make pongal. 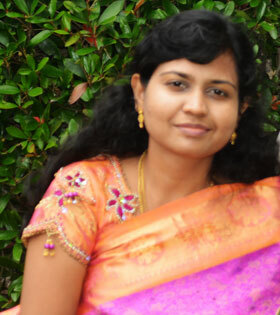 But after marriage I came to know that Ven Pongal is a regular recipe also in his home and hubby likes very much this pongal dish. 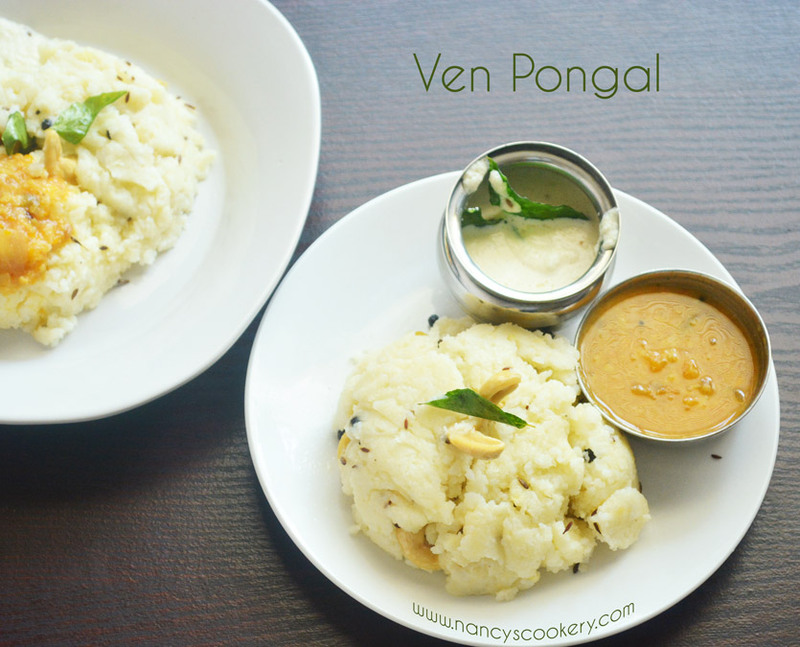 So when we came here to US, I started learning ven pongal and hubby liked the taste and consistency very much and thus came out this Ven Pongal Recipe. 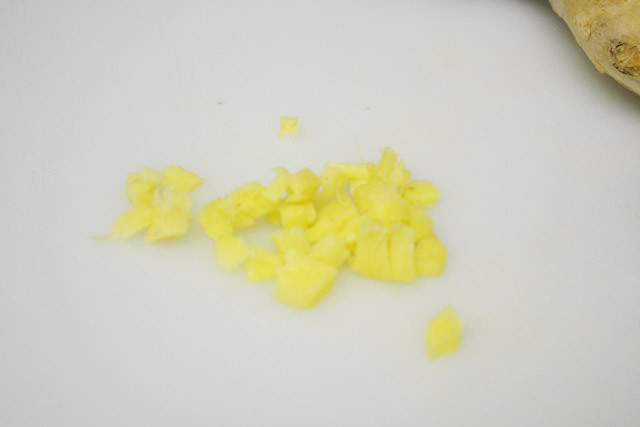 I have used less ghee and oil in this recipe, because I started reducing fat in our food. If you are not in this list add generous amount of ghee or oil to the recipe. 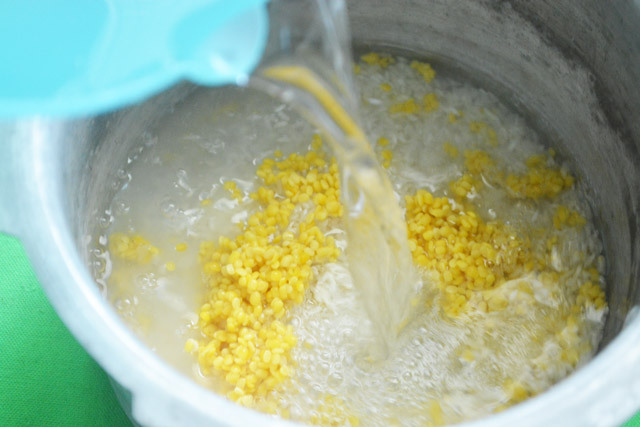 If you add more oil/ghee, the consistency will be smooth for sometime even after the pongal is cooled down. So eat hot with sambar or chutney. I like sambar with this pongal but hubby likes coconut chutney for this recipe. Enjoy pongal with your favorite combination. 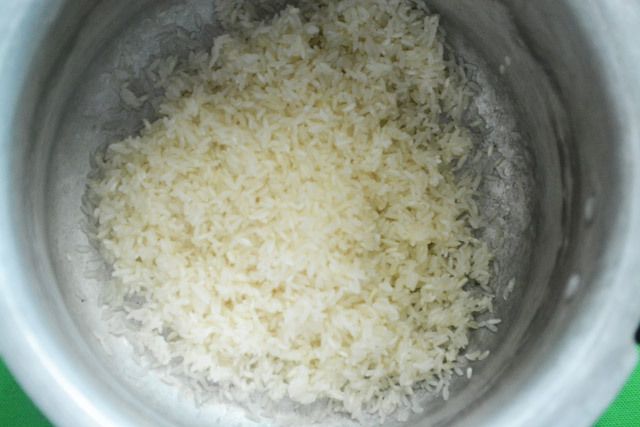 Wash rice and dal and then cook them in a pressure cooker along with some salt and 4 cups water for 4 whistles on medium heat. When the rice is done, mash the rice. Then heat oil and ghee in a pan Stir in the cumin, pepper and chopped ginger. When the cumin browns, put the cashews, curry leaves and some asafoetida. Then remove from heat once the curry leaves and cashews start browning. 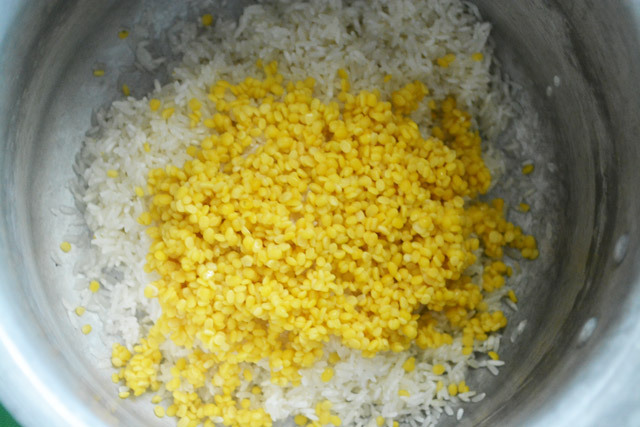 Now pour the above seasoning into the mashed dal and rice, mix it well and serve hot. 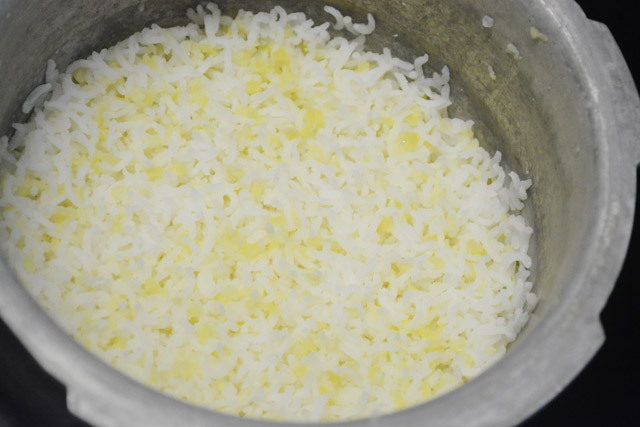 Wash the rice in water and put it in a pressure cooker. Wash the dal also in water and put it in the pressure cooker. 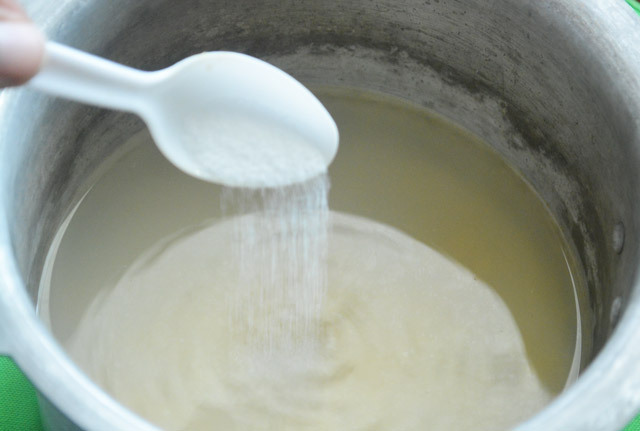 Pour 4 cups of water to the rice cooker. Put the required amount of salt as you need and put the lid on and pressure cook it for 4 whistles on medium heat. Meanwhile chop the ginger finely. Now the rice is done. We need to mash the rice while it is hot before adding seasoning, so mash the rice with a spatula. 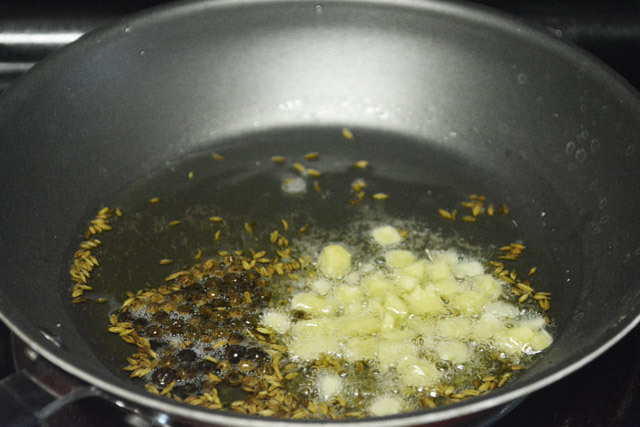 Heat oil + ghee in a pan and then put the ginger, cumin and pepper into the pan. when the cumin browns and the ginger shrinks in size(bt not certainly everything burnt. 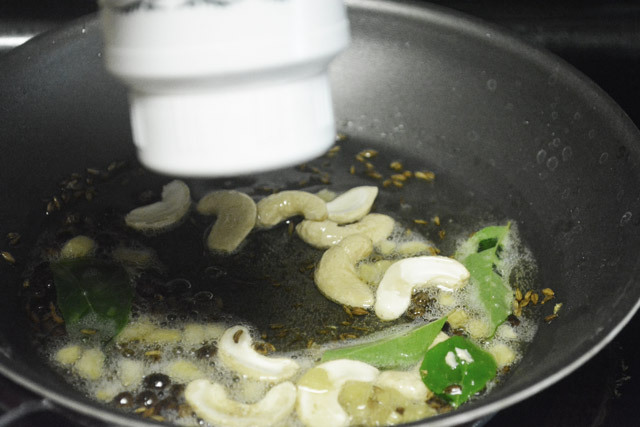 ), put the curry leaves, then the cashews, then a little squeeze of asafoetida. When the cashews slightly browns, remove the pan from heat and pour the seasoning to the mashed rice mix. 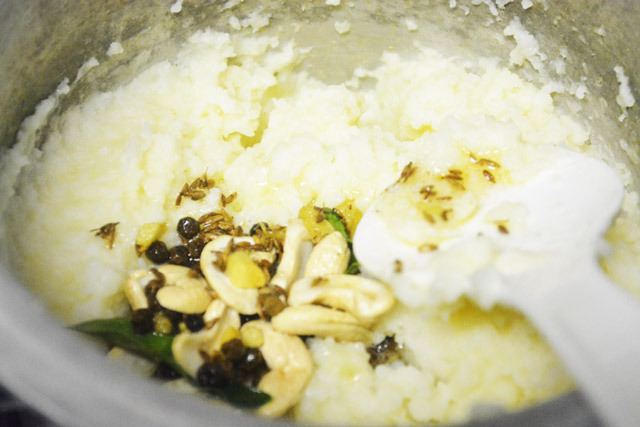 Serve it hot , because ven pongal or sweet pongal, all pongals will be soft and smooth when it is hot. 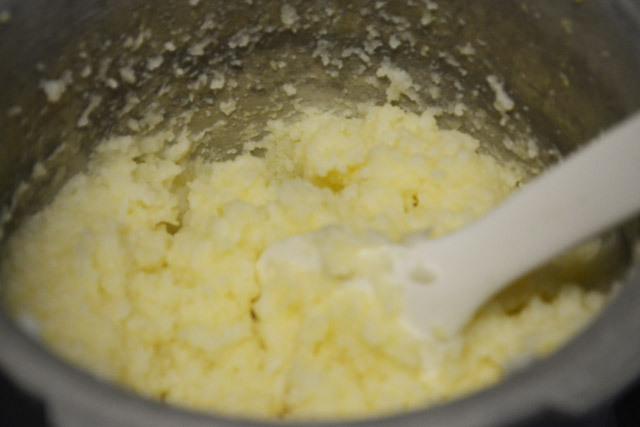 To increase the smoothness, add more ghee or oil. Serve with chutney, sambar and vada if you are lucky to have.